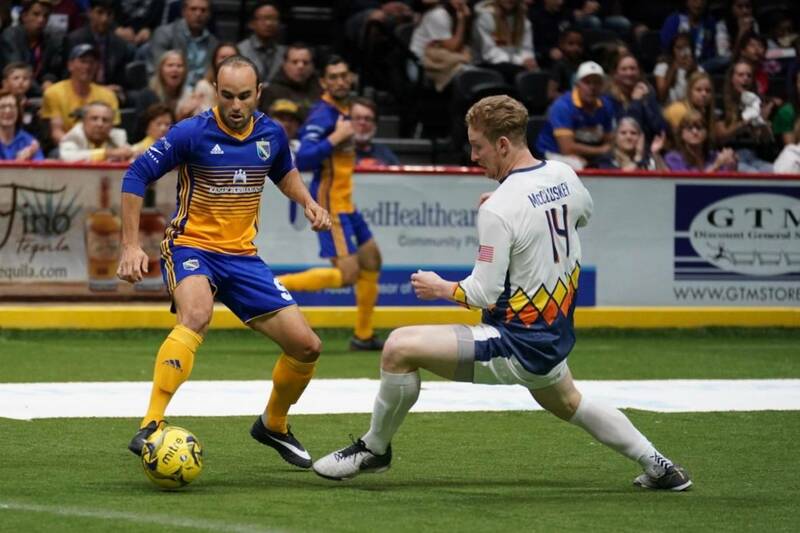 Nick Perera scored three goals, leading the Tacoma Stars past the Turlock Express 12-2 in a seasoning-opening Major Arena Soccer League match at the accesso ShoWare Center in front of 3,437 fans Saturday night. The Stars’ Philip Lund opened the scoring with two goals in less than two minutes in the first quarter before James Riley picked up his first MASL goal with 3:56 left in the first. The Stars notched four more goals in the second quarter to lead the Express 7-0 at the half. Adam West and Chase Hanson scored less than a minute apart and then Perera nailed home his first with 6:40 left in the opening half. Tacoma got its seventh off the foot of Joey Gjertsen with six seconds remaining. The second half started with two more Stars markers. The first was from Jamael Cox and Matt Clare’s first as a Star with 7:59 left in the third quarter. Turlock got on the board when Ernesto Luna scored his first goal with the Express less than a minute after Clare’s goal. Perera punched in his second goal of the night to opening scoring in the fourth with 11:30 left to play. Just 16 seconds later, Luna struck again for Turlock to make the score 10-2 with 11:14 to go. Perera completed his hat trick at the 9:13 mark and Vince McCluskey closed out the scoring with 5:07 remaining in the game. For the match, the Stars outshot Turlock 27-4 and were led by Nick Perera’s three goals. The Stars are back in action this Friday, Dec. 7 when the Dallas Sidekicks invade the ShoWare Center. For tickets and team information, call 1-844-782-7784 or visit tacomastars.com.